Increased need to pass urine or pain on passing urine. It's a big a decision to make whether to take baclofen or any other drugs. Peter needs baclofen to function. Without it his spasticity and pain levels mean that he cannot ever be pain-free, comfortable or even sleep well. We worry about side effects so have cut it down to the smallest amount he can manage with (40mg daily). This means he still has spasticity/tight muscle tone but he can manage it with exercise and other strategies.Taking too much is actually counter productive for him. Some of the worse side effects are only experienced when taking larger doses and it's worth remembering that baclofen is also used as a drug for helping with alcohol withdrawal and dependency in very large doses which are more likely to produce some of the most worrying side effects. Peter copes well with it and it is worth the risk for him. In the early days we asked our Neurologist about the risks involved and he pointed us to some online info which included this quote: "Remember that your doctor has prescribed this medication because he or she has judged that the benefit to you is greater than the risk of side effects. Many people using this medication do not have serious side effects". No medication is totally safe - even "natural" medications have risks associated with them. Like life, taking baclofen is about risk assessment. Peter chooses to take the risk and the payoff is a better quality of life for him. baclofen itself does nothing for pain. Some spasms cause pain, so eliminating the spasms will help the pain. This is precisely what baclofen is prescribed for — to calm spasms. in some instances baclofen can actually make neurogenic pain worse, particularly if you have a pump implant. Having a large hockey puck-sized pump buried inside the lining of your abdomen, with a catheter snaking all the way from the pump round your back and into your spinal canal, can actually cause intense sensitivity, pain and dysreflexia. Taking oral baclofen is not so bad. Steer clear of the pump if you can. That's my advice. Ah yes - you are right Mike. I should have specified that Peter's spasticity is the sort that hurts - I know not everyone gets pain with it and if that was the case then I don't think he would be taking baclofen. Also his tight muscles can cause pain too. He is lucky that oral baclofen does a pretty good job for him. Baclofen pumps do sound scary. I guess the point I was trying to make is that all meds come with side effects - it's all checks and balances and whether they are worth the associated risks. Much better if you can manage without but if they change life from grim to bearable??? * The drug has also been linked to malaise, subnormal body temperature, nightmares, memory impairment, and insomnia. Lioresal manufacturers, particularly Novartis, are facing a number of lawsuits. Plaintiffs have sought compensation on the ground that the manufacturers failed to disclose side effects of the drug, which caused them to use the drug, following which they lost their ability to earn. They have also demanded reimbursement of their medical expenses incurred as a result of Lioresal side effects. I have such constant pain in my rib cage. I’ve been to a pain management specialist and neurologist... they say there is nothing they can do for me shy of heavy and addictive drugs. I’m at the end of the line it seems. I did find a spine doctor who specializes in rib alignment and sports medicine. I’m going to see him soon. Please help with positive advice. I’m new at all of this. 2510, let’s go at this from a different perspective. It could be parasites, not your paralysis. I take parasite-killing herbs to kill parasites, not the toxic chemicals that doctors prescribe. 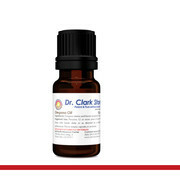 Wormwood, cloves, green black walnut hull tincture, and / or quassia powder are some of these herbs that kill paradites naturally, without drugs or harmful chemicals. Your doctors may have blinders on to this possibility, thinking that your pain has to be directly caused by your paralysis. What actually happens to us is that our digestion slows down due to our paralysis. Slower movement of our elimination give parasites and bacteria more “quality time” in our insides,...where they really shouldn’t be to begin with,...and they prosper, to our detriment. We need to assist our digestion —possibly with extra enzymes or betaine hydrochloric acid — and move our bowels regularly — possibly with Cascara Sagrada laxative herb. But once the parasites have managed to set up houskeeping, we have to kill them in order to retake that territory. Please buy some parasite killing herbs. Good to know...thanks for the heads up. I still have terrible abdominal rib pain. One day this week i was pain free and felt wonderful and motivated...only one day. I am seeing my spine doctor for s a routine 6 month follow up this week. I’m hoping he can help me but I’ve almost lost all hope. A few drops of food grade oregano oil in an empty capsule, taken with water, might cure your abdominal pain. DoTerra sells this as does drclarkstore. Are you in the USA? UK? It only costs $11.30. 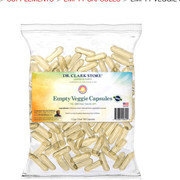 Plus Empty Veggie Caps for $5.15, and shipping. 1) All drugs have an equal and an opposite reaction and there will be receptor modifications which can result in tolerance. Keep looking. 2) The first 3 years are HELL -- pain, no sleep, EVERYTHING that worked without even noticing may cause (actually likely) cause problems you've never had before. Hang in! 3) Pain and depression share the same pathway in the brain. That is why people who are in pain tend to be depressed and people who are depressed tend to be in pain. IOW, if you find a solution for one, the other will likely follow. If you find a solution for both, even better. As Tetra said, everyone is different in response to meds and even the same meds (e.g., baclofen) made by a different company can be VERY different. So you have to account for that as well. Keep a diary or excel file to monitor your symptoms using some type of scale -- you will learn over time what is too much and what is too little. Three years is a long time to get to "some" stability but most of us survived and felt just like you. You might want to check out the forum carecure -- they tend to focus on newly diagnosed (and have moderators who are actual SCI nurses). Let us know how the neurologist apt goes but I would also make an apt with a pain specialist. Spinal injuries and pain. They are synonymous. They go together like love and marriage, a horse and carriage. Some people get away with it, have a pain-free spinal injured existence, and others are wracked with pain all their lives. Medical interventions can spark off new pains, pains that you had never experienced before, pains that have the potential to drive you crazy. There’s nothing predictable about spinal injury. It’s a venture into the dark. I remember many years ago speaking to an occupational therapist who was helping an authentic make up a spinal brace for me. I had plaster of Paris bandages wrapped all around my torso, which had gone rock solid. The authentic and the occupational therapist had to cut it all off quick because it was causing a massive dysreflexia attack. The occupational therapist, who is now head of the occupational therapy department at Stoke Mandeville Hospital, turned to me and said: “Are you one of those spinal people who get everything, Michael?” I replied yes I was. It’s as if fate has thrown the pain book at me. Some people should have been called Job at birth. I think I’ll change my name. The fact is you’ve just got to accept what you have and who you are. With acceptance, you can at least live without constantly asking why or how? Eventually you learn to live with your condition no matter how bad it is. You have to live with it. What’s the alternative? Get on with life and your pain recedes into the background. Like writing this post. While I’m thinking about what to say my pain retreats. Keep thinking about your aches and pains and they get worse. Aim for peak experiences. Life is full of peak experiences if you can break out of the gloom. That’s the beauty of this forum. It’s good to be in touch with others, people with similar conditions to yourself. I understand what you’re going through. I feel your pain. These are not clichés, they are realities. There are people on this forum that suffer intolerably. I feel your pain. Yes, indeed, I feel your pain. I have minor pain every day, it isn't constant, but it is tiresome and annoying, ive learned to deal with it because it most likely never go away completely. cannabis is good in that way because their many days where a number of things are hurting or feeling discomfort and an inhale off my vape thing(not sure of name?) and I soon feel much better, emotionally, mentally and relaxed. I’ve been to a pain management specialist and all she wanted to do was throw hard drugs at me. I see my spine doctor this Thursday. I know he is going to look at my new X-rays and say everything is fine. Then he will just refer me to another specialist. I wish my accident would have killed me instead of leaving me to suffer like this.